Update: The editor of the English-language Global Times - a mouthpiece for the Communist Party - has disputed reports that a deadline delay has been discussed. The only thing that's certain right now is that "talks are underway." I learned from source close to China-US trade talks that speculations of trade negotiations will be extended are inaccurate. The only thing that is certain now is the talks are underway. In a report that will likely be cheered by investors, many of whom believe an extension of the Trump administration's "hard" trade deadline would be the best-case scenario for stocks (given that, by all accounts, the two sides are nowhere agreement on the sweeping trade deal that Trump had promised), Bloomberg reported late on Thursday that President Trump was considering a 60-day extension of the March 1 deadline, as the world’s two biggest economies try to negotiate a solution to their trade dispute. 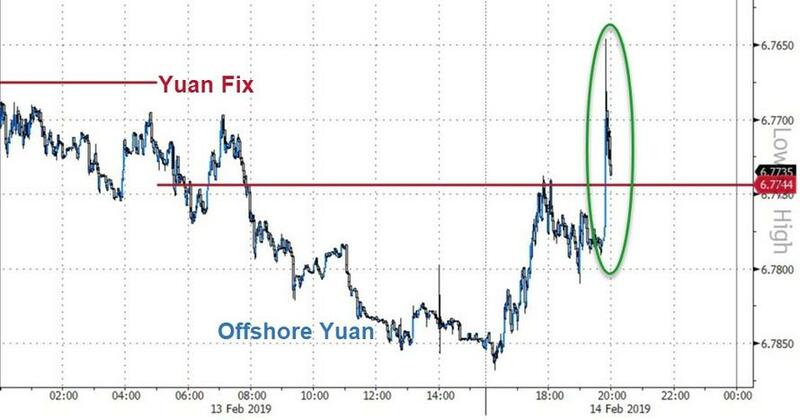 Though he has said he's not "inclined" to extend the deadline, several sources close to the president reportedly told BBG that an extension would be approved if the two sides are close to a deal that includes "deep structural changes to China's economic policies." "I think it’s going along very well," Trump told reporters in the Oval Office this week. "They’re showing us tremendous respect." The extension would allow time for President Trump and President Xi Jinping to meet in person, something Trump has insisted must happen before he would sign off on a trade deal. A mid-level delegation of US trade officials has been in Beijing this week reportedly negotiating on an enforcement mechanism to ensure Beijing's compliance with the deal, as well as cobbling together a deal framework that can be presented to both leaders. BBG added that an extension might depend on the outcome of a meeting between Lighthizer and Xi that's expected to take place this week. "The outcome of the China-U.S. high-level economic and trade negotiations may be related to the future development and stability of the world economy,” Chinese Foreign Ministry spokeswoman Hua Chunying said at a regular briefing Thursday in Beijing. "Both parties hope to reach a mutually beneficial agreement. The best thing we can do now is to let both sides concentrate on consultations." The US has pushed for a range of reforms to the Chinese economy, from how China manages its own economy, to its foreign trade practices. 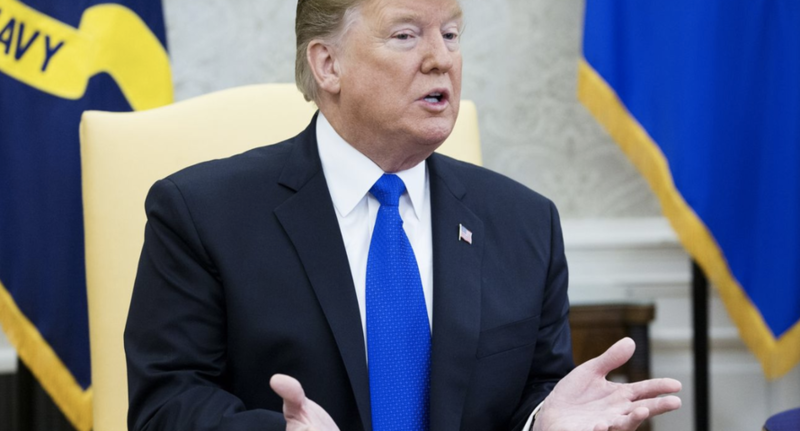 Trump has insisted that China take steps to reduce the US-China trade deficit, while Lighthizer has specifically focused on ending Beijing's institutionalized IP theft and the advantages given to Chinese state-sponsored companies operating in China's domestic market. Shortly after Trump and Xi agreed to the trade truce during a dinner in Buenos Aires on Dec. 1, the president and Lighthizer, who is in charge of the trade talks on the US side, insisted that the March 1 deadline wouldn't be moved. But reports so far suggest that only moderate progress has been made. Still, an extension would be enough of a signal to markets that progress is being made. The biggest issue for the Trump Administration would be holding the Chinese accountable to ensure that this is the only delay necessary.